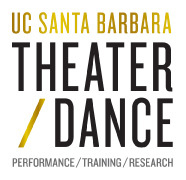 Merit scholarships are awarded to current UCSB students based on performance in class, creative choreographic output, volunteering to support the department, and academic excellence. Applications are assessed each quarter. Deadline for each quarter is the last day of class of the previous quarter. Application can be found here. The Patricia Sparrow Dance Scholarship Award was created to provide returning dance majors with financial support for summer studies in dance. Awards are given to students who provide a clear description of a proposed course of summer study and a convincing explanation as to how this will complement their dance training at UCSB and beyond. Requests should also include a budget indicating tuition and expenses. Named for Professor Emerita, Alice Condodina, a principal dancer with Limòn Company and founding Director of the Repertoire-West Dance Company. Announced in March 1996, this award honors one dance BFA or BA major that has shown distinction and excellence in dance performance during the academic year, as judged by the dance faculty based performance in selected department concerts. Only the outstanding nature of performance ability will be considered to qualify. Rona Sande was for many years the Director of the Division of Dance at UCSB and Department Chair. Her extraordinary wisdom, integrity, vision and skill helped to make this department what it is today. Awarded to dance majors who continue that tradition and make significant impacts through performance or scholarly work. Named for Professor Emerita Tonia Shimin, who trained at the Royal Ballet and performed with both the Martha Graham and José Limón companies, this award is given to a dancer of exceptional talent who shows vision, drive and a mature approach to their work. Established in 2012, this award is given to a senior dance student who has shown exceptional promise in choreography. This student will have displayed a unique voice, innovation, risk-taking, and mature artistry throughout their tenure at UCSB. The award is given based on the development of a student’s artistry from the beginning to end of their creative series at UCSB. Established in 2011, this award is given to a dance major that demonstrates excellent primary research in Dance History and acknowledges the recipient’s intellectual and academic achievements in the field of Dance History. Established in 2011, this award is given to a dance major, at the beginning of his or her career in the department, who shows promise in understanding the dynamic relationship between dance as an art form, and dance as an area of rigorous intellectual investigation and discourse. The recipient exhibits an enthusiasm for the exploration of new and exciting areas of academic inquiry in dance, demonstrating the intellectual capacity, curiosity and commitment necessary to perform research in dance theory and history. The scholarship is awarded to Theater, BFA – Acting students entering their senior year who demonstrate enthusiasm, commitment and strong potential talent and promise as actors. Provides financial support for a continuing playwriting students of exceptional enthusiasm, dedication, talent and accomplishment. Awarded to students for excellent work in a full-length or one act dramatic script. Awarded to outstanding theater majors that have made a significant impact through performance or scholarly work. Awarded to a student who best exemplifies the combination of artistic and academic accomplishments of the late Professor Robert G. Egan. Awarded to students for excellent work in choreography and playwriting. Dance, BFA senior thesis work premiered in the fall and spring concerts will be considered. Awarded to students who show outstanding contributions to specific areas of study; Acting, Directing, Design, Playwriting, Theater Studies, Theater & Community and Graduate Studies. Applicable students must have a minimum cumulative GPA of 3.60, graduating in the current academic year and submit a Student Information sheet. This recognizes outstanding academic achievement in the arts or humanities. It honors a professor emeritus of Dramatic Art (1965-86) and former Associate Dean in the College of Letters and Science (1979-86). This recognizes outstanding interdisciplinary academic achievement of a student in the social sciences in honor of Don Luis Leal, a professor and National Medal of Humanities winner whose presence and scholarship greatly enriched the UCSB campus for many years. Awarded to a graduating senior in the College of Letters and Science for outstanding scholarship and contributions to the campus community, in memory of Daniel G. Aldrich, Jr., Chancellor and Professor of Soils and Plant Nutrition, University of California at Irvine, and Acting Chancellor of UCSB, 1986-87. The Thomas More Storke Award is awarded each year to one graduating senior who has demonstrated outstanding scholarship and extraordinary service to the University, its students , and the community. The basic criteria are courage, persistence, and achievement. Nominees must have earned a cumulative GPA of 3.5 or above. This award is presented annually to one graduating senior who has demonstrated outstanding leadership and superior scholarship, and who has in particularly innovative and creative way contributed significantly to the quality of undergraduate life on campus. Nominees must have earned a cumulative GPA of 3.0 or higher. This award, established in 1993, is presented annually to one non-traditional graduating senior who has demonstrated endurance, persistence and courage in the face of extraordinary challenges while in pursuits of an academic degree. Service awards, presented annually to graduating seniors and graduate students, acknowledge a depth of involvement in several different areas of campus life. GPA requirements are based on academic performance that is equal to or higher than a cumulative GPA of 2.973, which is the scholastic average of the student body as a whole. These awards are presented annually to graduating seniors and graduate students who have made an outstanding contribution to a particular (perhaps fairly narrow) are of UCSB student life. The awards recognize in-depth or focused involved and significant achievement in campus or community activities. As with the Service Awards, GPA requirement s are based on academic performance that is equal to or higher than a cumulative GPA of 2.974, which is the scholastic average of the student body as a whole.